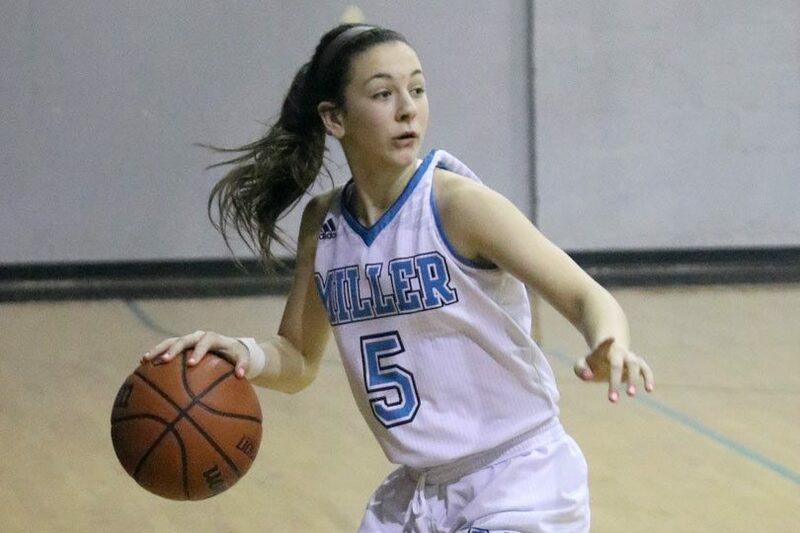 For a little while at least, it appeared Miller girls basketball’s nine-game win streak was in jeopardy. But then Olivia Wagner went to work. 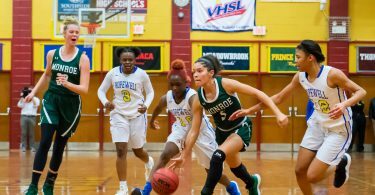 Wagner powered a huge fourth quarter surge and the Mavericks pulled out a 51-40 victory over Surry County to win their 10th game in a row. Miller had to shake off a first three quarters where they just couldn’t find a groove to get it done. About two minutes through the fourth quarter, Wagner got the Mavericks going with a drive from the wing that ended in a midrange jumper. Then she buried a pair of 3-pointers to complete an 8-2 run that changed the complexion of the game. “It was a lot easier when we got that, then we had a little room,” Wagner said. Hannah Woodard and Chloe Sable followed suit with buckets of their own and Miller was up 39-33, putting Surry on the ropes. Woodard scored twice more and Kiana Johnson chipped in a score to push the lead to 47-34. Surry never really counter-punched and the Mavericks picked up the win. Woodard gives the Mavericks a versatile post presence who can put the ball on the floor, and when she’s locked in she gives Miller’s offense an added punch. 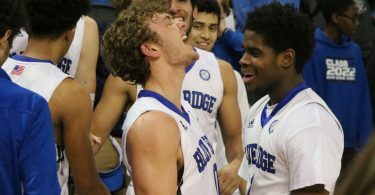 For Wagner, Woodard’s versatile game is a particular blessing. Opposing teams have to be wary of just locking off the Mavericks’ point guard if Woodard, who finished with 11 points, is involved because she can make them pay. Kianna Johnson chipped in 10 points and Naya Hunter scored seven points for the Mavericks. Jasmyn Pierce led Surry with 12 points and Alexis Nelson had 11 points while Breena Byrd had nine. The Mavericks are the defending state champions and currently ranked No. 2 in the state in VISAA’s D2. With Wagner averaging 18.1 points, 3.4 rebounds, 2.6 assists and 2.9 steals per game, the Mavericks have the centerpiece who could lead them to another title. Hunter, the reigning state player of the year, is averaging 10.0 points, 5.6 rebounds, 2.6 assists and 2.3 steals per contest. Throw in Presleigh Braxton’s 3.6 assists per game and Woodard’s production and Miller is in a pretty good groove right now. Getting a hard-fought win over Surry is a strong step in the right direction. The Mavericks will face Holy Cross Friday at 5:30 p.m.